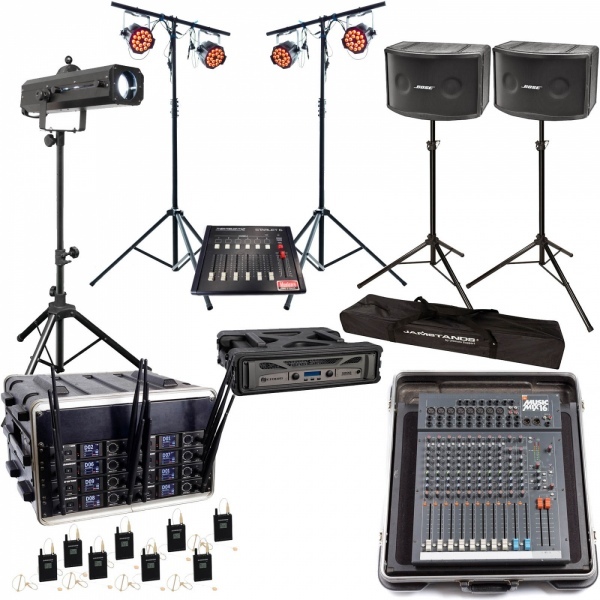 A complete sound and lighting package for school productions. Price includes a Monday to Friday hire period and Deliver/Setup/Packout in Hamilton. Other equipment may be added such as overhead mics, handheld cordless mics, shotgun mics, larger mixer, CD player at additional cost.